Bob Ross remains as popular as ever with his happy paintings, memorable hairstyle, and quirky catchphrases. His legacy lives on with these Happy Trees socks featuring happy little trees against a light blue background with Bob Ross’ portrait smiling from ear to ear. 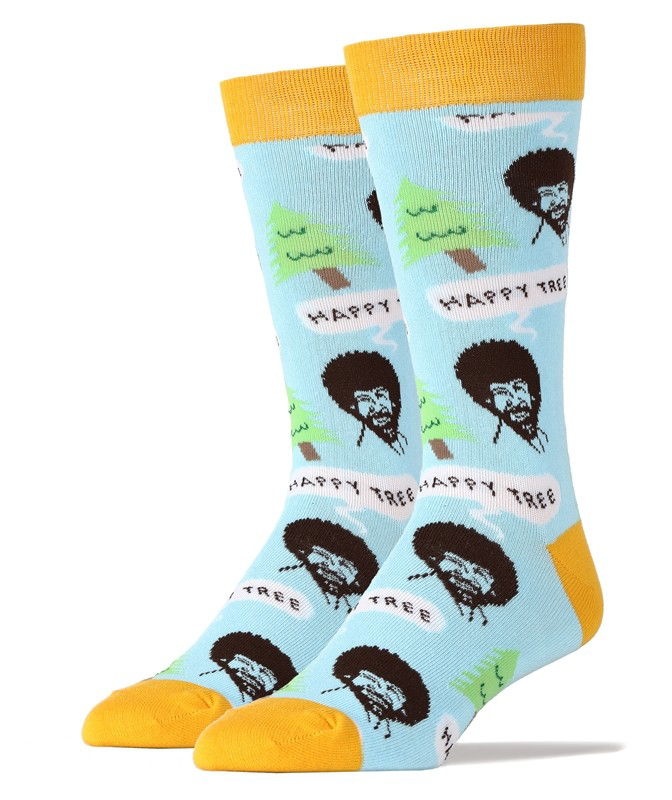 Bring back happy memories by wearing these Bob Ross Happy Trees socks.